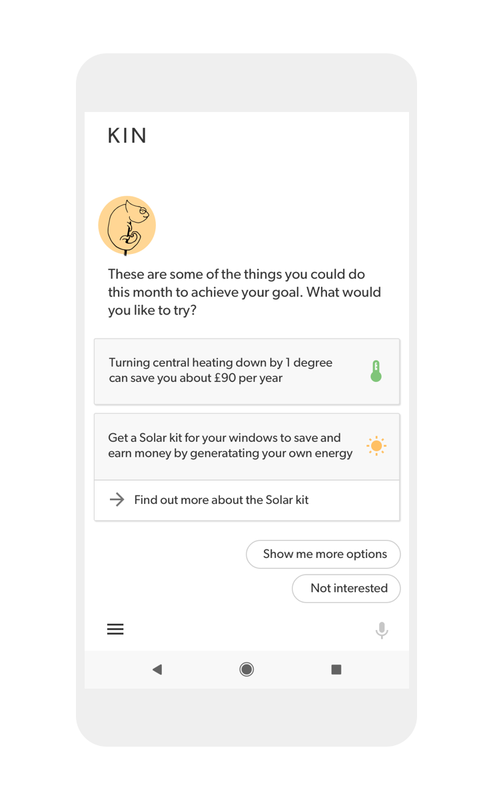 Kin is a personalised energy service aimed at people who want to make better energy choices because they care for the environment or just want to save some money. 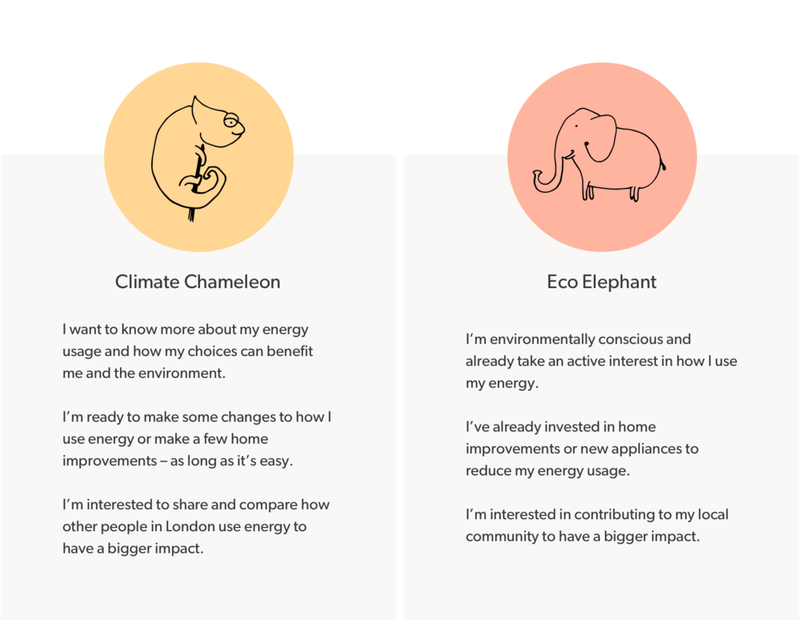 Not everyone wants to become an Eco Elephant—and that’s ok.
Kin makes forming new energy habits easy—you pick a team which best represents your current views on energy and the amount of involvement you are comfortable with. 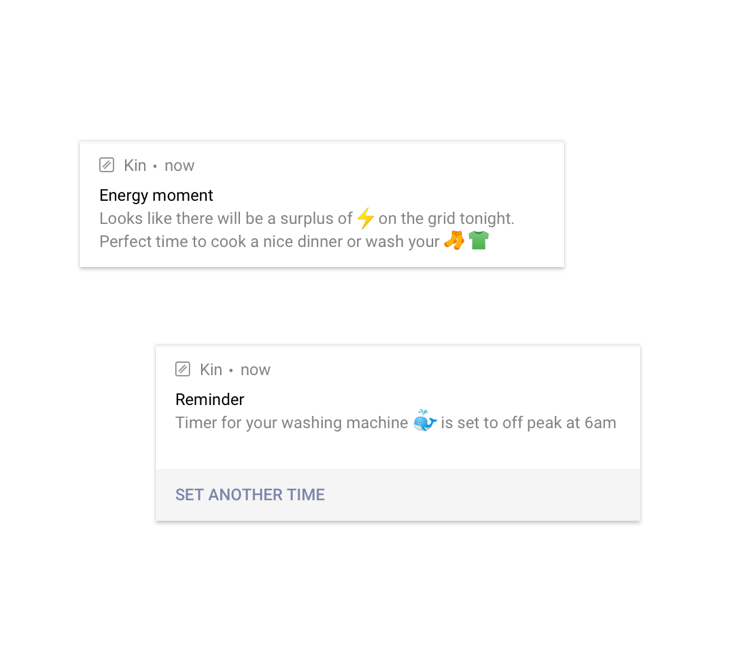 Kin will ask a series of questions to understand your current household and energy behaviours along with the goals you’re interested in. Kin will then gently nudge you towards actions based on your preferences. 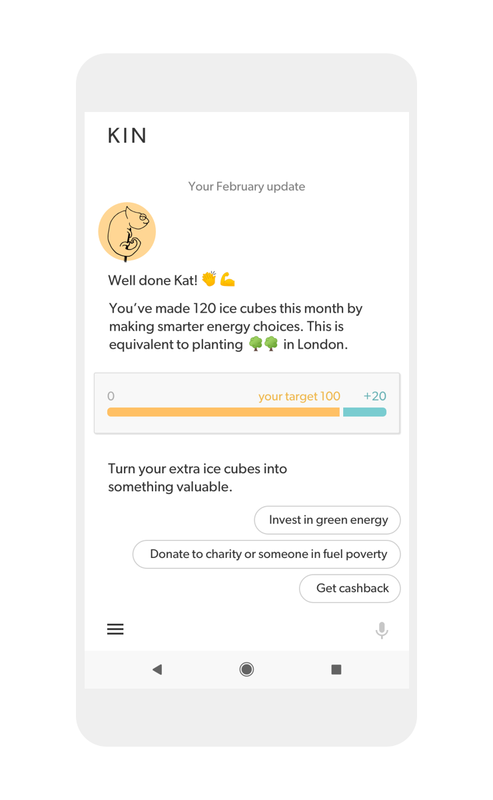 Compare your energy usage against others similar to you (or your housemates) and set your own targets for the type of energy user you want to be (and get rewarded when you beat these targets). On top of helping you identify your least energy efficient appliances, it could mean using energy at certain times of day when there is a surplus of energy on the grid. It could mean using renewable solar charging stations for your electric car. Or investing in green energy or donating energy to someone in fuel poverty. In the near future, it could mean providing anyone, whether they own or rent a home, with accessible, low-cost ways of generating their own energy (think generating your own kinetic energy when cycling or fancy but cheap solar window stickers). Kin aims to deliver insights about your local area and people similar to you, so you can better understand the cost of your energy habits. Based on your address, Kin automatically gathers publicly available data in your area. This may include data on energy usage, types of buildings, detailed information on your building energy efficiency rating (such as double glazing, type of accommodation, number of floors) and other related data such as air pollution and recycling. This means using language that you understand and measuring impact in things you value and can compare, like trees. There’s power in the people. 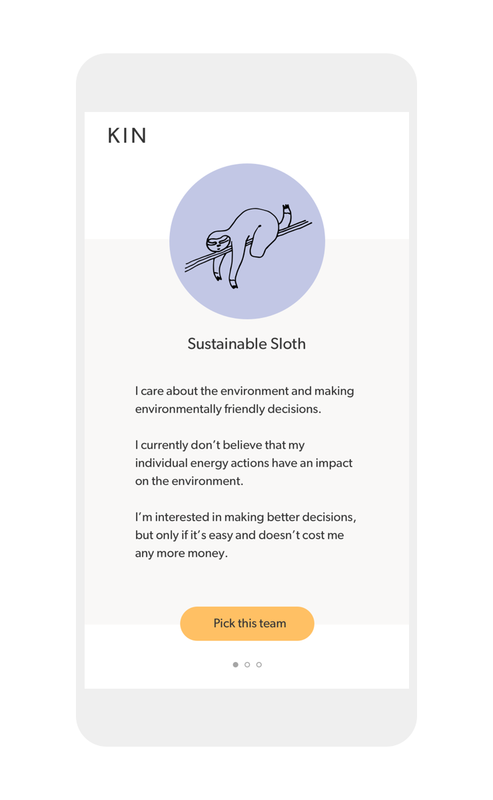 Kin will link your behaviors to those around you and show the impact of your collective decisions on the causes you care about (hello coral reefs and polar bears). Because we know we can’t change the world by ourselves. How might we make house sharing a simpler, nicer experience?